How Do You Find the Circumference of a Circle if You Know the Diameter? Trying to find the circumference of a circle? Know the diameter? 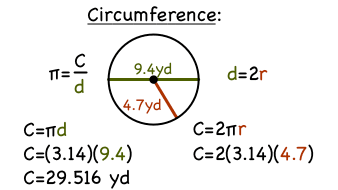 Then you can use the formula for the circumference of a circle to get the answer! Just plug the value for the diameter into the formula and solve. This tutorial shows you how!